The new HoneyBlaster site is up. Fetch (RPG) will be out soon. Get Guxt here. More hints can be found at the Cave Story LiveJournal. Play records are stored in the automatically-created folder 'play-records'. I'm interested in seeing how players develop from their very first play until they get used to the game. If you could compress and email me all your records (without deleting any), I'd much appreciate it." 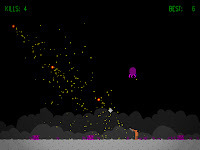 Insect Invade 2 is a two-dimensional shooter where you are a drunken man trying to defend himself from the invading insects. Of course, these bugs will not give up easily, they will hunt you down. The latest G-Force build can be downloaded by clicking here. Makoto Nagano is a 34 year old fisherman. Recently he succeeded in completing the last phase of the Japanese game show: Ninja Warrior. Of more than 500 contestants only one other man completed it before he did. 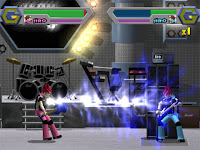 Out of nowhere comes the versus fighting game entitled Glay - Beatout!, expected to feature the current line-up from the popular rock group and past band mates. Perhaps even guest appearances of members from L'Arc en Ciel and X Japan, with rumors of hide and Gackt being considered as final bosses. All moves are listed in an accompanying text file. There are special moves and combos planned for each character, but no proper A.I. has been implemented yet at this stage. Definitely a project to keep tabs on, especially for fans of J-Rock music and their outrageous looks. Only Jiro can be selected in this version, but expect more fighters, content and songs in the very near future. Pamidama is a rather decent puzzler in which the player has to switch containers around to match each ball's color, two at a time. The challenge is to guess where each ball would end up, a task made much more difficult with the introduction of balls with differing characteristics. Switch containers around by using the C key. 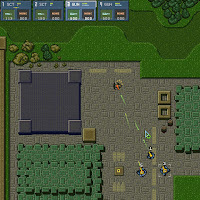 There's also a battle mode included to facilitate multi-player gaming sessions with either the computer A.I. or a friend. 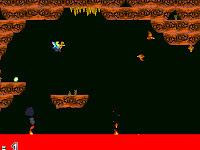 Joust 3 - Revenge of the Lava Troll is another brilliant remake by Jph, featuring seven stages worth of action as you battle in the air against enemy knights, bats and even pterodactyls. Hold the K or up arrow key to take flight, and press the J key to fire a stunner arrow. Replenish your supply of arrows by collecting golden eggs. Touch the Tikki statue once the area is clear in order to advance. A handy save feature can be activated by pressing the F5 key, while quick load is possible using the F8 key. 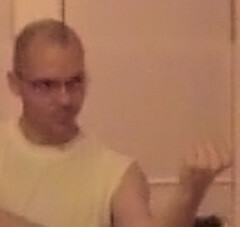 Screenshot taken from nenad's untitled project, a work in progress. The Marvel Super Heroes remake by SpiDoL is a decent effort developed with the MUGEN game engine, though some text editing is required to get the sound working. Search for the Data folder and change the Sound configuration value in the mugen.cfg file from 0 to 1, in order to enable the sound effects plus some background music. 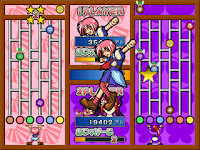 Most of the standard and special moves from the arcade version have been retained, hence veterans should be able to figure out the controls in no time. Some of the new characters are pretty fun to play with as well. Thor is especially impressive, but Carnage is rather cheap and Todd's creation has little powers. A simultaneous team mode also allows all four combatants to slug it out at the same time. 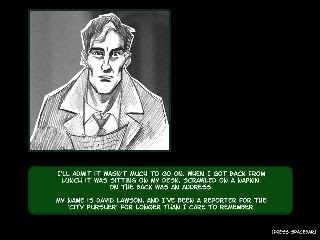 The Breakdown is an old school, point and click adventure game. 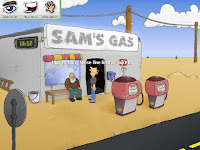 After the intro it will become clear that you're playing the pointy haired main character, and your objective is to get to your home town and cash the winning lottery ticket in time. 100 Invaders is an interesting take on the classic Space Invaders theme by jph, in which your ship is able to thrust forward when the up arrow key is held. The allowable travel distance depends on your current Pow level, which can be increased by collecting green pods. These power-up pods can be created by shooting each orange pod three times, though grabbing them can be rather tricky because when your ship travels in one horizontal direction all pods in the vicinity will move towards the opposite angle. Large invaders are only vulnerable if you hit them right in the middle. Hold the left control key to shoot, and use the left alternate key to distribute half of your current Pow level to the next ship. If you can endure the epileptic-inducing effects then this is definitely one remake worth having in your collection. As reported by Postman, Studio Hunty is currently hosting all games (mostly demos) by Platine Dispositif. According to Pixel (Cave Story), his upcoming vertical shooter would probably be released next month. More miscellaneous stuff from AOU2007 Amusement Expo. Otomedius: collage (3MB), instructions (338KB), Elebits (556KB). I give you an interview with the creator of Braid. A list of the best freeware puzzle games released last year. Instructions on how to unzip .RAR and .LZH files can be found in this FAQ. Ac!dbomb is the latest creation from Mr. Chubigans, developer of Vivid Conceptions and Sandbox of God. 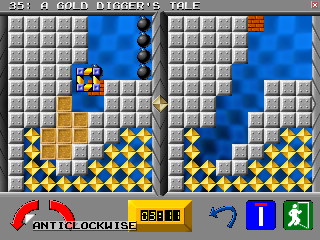 The game is basically about defusing bombs, in a race against time to uncover the pistons hidden behind the tiles. Beams of light can be used to reveal the number of pistons underneath each line of tiles. Just like Minesweeper, you can left click to mark a tile as safe or right click to designate one as a piston. 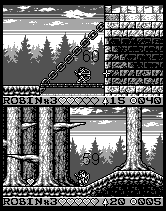 The number of pistons in each level is displayed on the top right of the screen. Press the enter key to reduce the countdown to ten seconds. 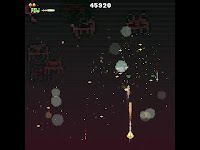 A sequel was released in early 2007 though it is recommended to play the Acidbomb series in succession. Made with the intention to distribute over the Playstation Network via Playstation 3. As a few of us may remember, Pushover was an excellent puzzler published by Ocean about fifteen years ago. 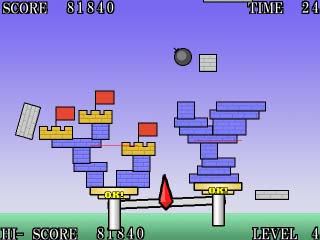 The remake by IshiSoft features the same objective as well, to topple all dominoes found in each level. The difficult part was figuring out how to arrange certain pieces in order to successfully cause a chain reaction and finally ending up with the trigger piece being pushed. For this reason, the protagonist can pick up and place domino pieces in key areas. Some dominoes may have special characteristics, although most are explained during the first few tutorial stages. Press the Z key to grab tiles or push a domino by using the left or right directional key with the action button. Fullscreen can be enabled under options. Later levels are rather challenging, but don't let that discourage you from downloading this fabulous remake. 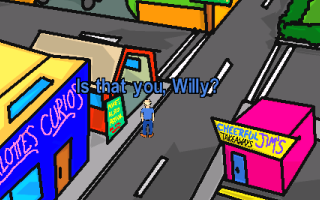 In Pozzo - Jello Crusade, you play the role of a janitor named Pozzo who works for a jello restaurant. He dreams of saving up enough for a well-deserved vacation on some tropical island paradise. Unfortunately, his manager has found out that the local health inspector is dropping by for an unscheduled check. You're given the task of cleaning up the entire premise ridden with rotten jellos before the law enforcer finds them. Fail and Pozzo can kiss his planned holiday goodbye. A lousy job indeed, compounded by the fact that Pozzo is stuck with no limbs and has to eat all the jellos that he finds. With the story out of the way, let's get straight to the actual game. 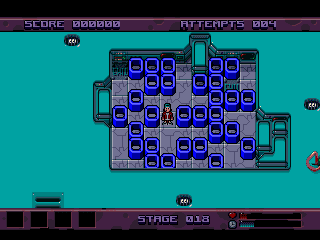 As mentioned earlier, most levels require the player to eat a lot of jellos before being allowed access to the exit. Pozzo cannot retrace his steps once he has eaten jellos off a tile. Not a very innovative concept, but Lazrael has managed to craft a superb puzzler that showcases imaginative use of tile design and graphical effects. New tiles are introduced from time to time, which include a variety of colored blocks, switches, teleport pads and many more. Later levels provide tougher challenges as you need to plan ahead every move your protagonist has to make. One drawback is that it uses ripped music, only because the developer could not get hold of an original music composer. The game features forty levels and two unlockable endings based on your score. 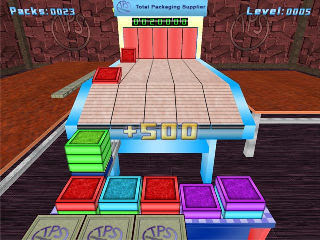 In Packin' Plax, the player has to stack colored plaques on a table so that three of the same color are connected either horizontally, vertically or diagonally. This is done by catching the plaques using the loader object controlled by pressing the left or right arrow keys. Tap the space key to drop an object onto the table. You can only fail to catch up to five plaques, though it's possible to replenish your chances by increasing the current level or collecting power-ups. An excellent Klax clone, with only bland textures and absence of gamepad support as minor disappointments. 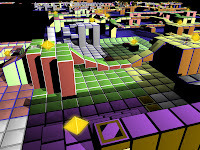 xCept also released a 3D Bombuzal remake entitled Bombzuka, an item of interest for fans of the original. 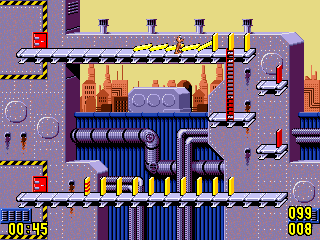 X-It Again is an excellent remake of Psygnosis's puzzler for the Amiga, faithful in nearly every aspect. Profiles are used to save progress instead of passwords. 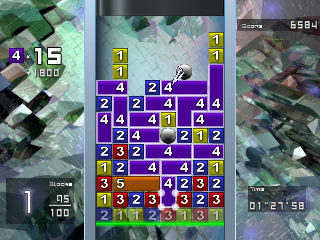 Much like Sokoban, most of the gameplay involves pushing blocks around to fill holes and getting your character to the exit tile. Instructions can be found inside the Documents folder, with some rather useful hints provided. All tiles are described in detail, for example glue tiles can be walked over but blocks get stuck when they are pushed onto them. At least one level contains red herrings as well. 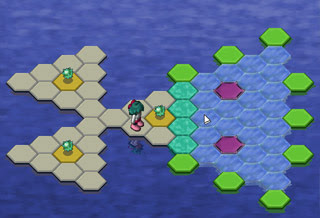 In Hex-a-Hop, your quest involves stepping on all green hexagonal tiles in each stage to make them disappear. Some level hints can be found on the web site as well. 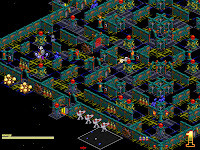 Considered by Jimmy of PC Logic Games as the best Game of the Year, slightly ahead of the other favorite Armadillo Run. 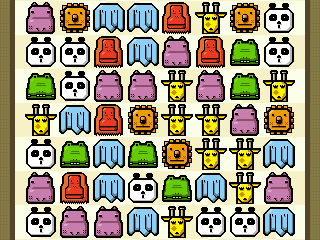 No Top Ten lists about puzzlers are complete without a mention of Zookeeper. 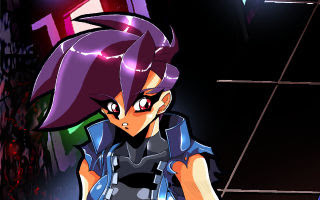 Kiteretsu's remake is an updated version of the perennial favorite with several changes that would please admirers of the original. Just like it's predecessor, your task is basically to swap tiles around to make matches of three or more. Remove a certain number of tiles as stated on the top right of the screen to proceed to the next level. Tiles can be moved without the wait for combos to end, plus the help button shows all possible matches instead of one chosen at random. There's a pause and mute option included as well. Definitely a keeper. For Mahjong solitaire fans, Kiteretsu's offering is a very good clone with cute graphics and colorful tiles. Standard features such as continues, password saves, hints, shuffle and a useful undo option are all available in this package. Tiltor is a game made using AGS, but surprisingly there's not a single element of adventure to be found in this effort. It's actually a linear puzzler that requires the use of only four buttons for all actions, including menu selection and saving your progress. 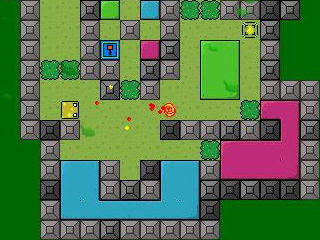 The objective in each level is to get a red block to the exit by tilting the screen left and right. Note that the only way to quit is by pressing the left alternate and F4 function key at the same time, though this is just a minor hassle. Features over a hundred and fifty stages, plus an additional arcade mode that you just can't say no to. Deceptively simple but fun to play, owing much to it's simplistic controls. Slime Pod is a rather manic puzzler by Kaeshirodai, in which the objective is to make eight or more connecting slimes disappear thus creating a Giganto combo. The number of combos needed for level progression are shown at the bottom left of the screen. Gems count as three slimes, and combos made with the evil eye are rejected outright. You can lose the evil eye by making it fall off the bottom of the screen. They can also be destroyed if you rapidly click on them, although this will cost you five magic points. There is no penalty for clicking on any number of slimes, but you have to create the number of Giganto combos required in each level before time runs out. Energy can be replenished by making a Giganto combo of any color. Tripline is a decent puzzler by Joakim Sandberg, developer of Noitu Love and the Army of Grinning Darns. The objective of the game is to draw a line across all shapes in each level, but three shapes with the same pattern must first be crossed out in a sequence before another can be engaged. Essentially a match three game, but with a twist. Only horizontal rows will disappear, and the player can only achieve this by clicking and stacking rows of blocks in an attempt to arrange them in an order that will cause this effect. Includes an online high score submission feature, implemented seamlessly into the game. Screenshots from earlier versions of Blocksum can be found at the CESA and Success Corp.'s web site. Froggy Ribbit - One Switch version released. Here are three excellent Ikaruga tributes worth mentioning. 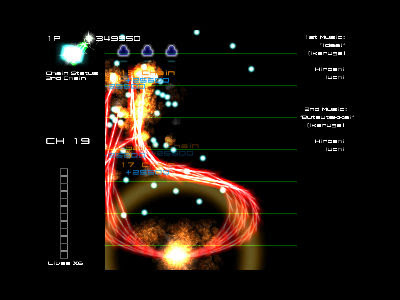 Kairuga is a short shooter demo by Kairos, also featuring the iconic gameplay system from Treasure's Ikaruga. You can switch the polarity of your ship by pressing the X key to absorb enemy bullets with the same color and charge your special weapon. The emphasis is on scoring where destroying three enemies of the same color in a row will earn you one chain, and bonus points are awarded for getting a high number of chains. 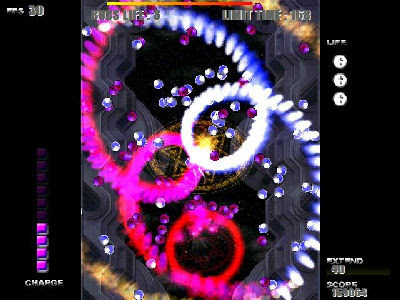 rRootage is an abstract scrolling shooter created by Kenta Cho which featured four gameplay modes. One of them is actually based on Ikaruga itself. 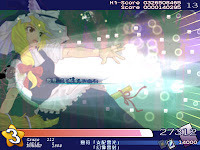 IKA mode allows the player to switch between white and black. While white, similarly-colored projectiles reflect at the enemy, and vice versa with black. 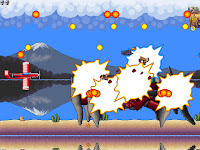 This mode tends to be the easiest of the four because you only have to dodge half the enemy's bullets at any given time, and also because the half that you don't have to dodge end up doing extra damage when you collide with them. 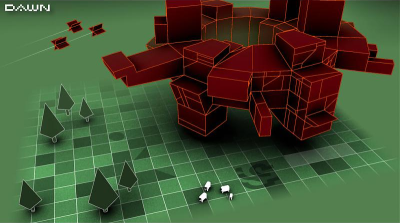 The game has the player fight a large boss. 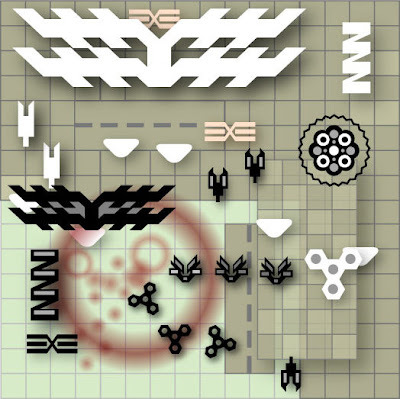 The boss changes form each stage, and there are five stages for each of forty levels per game mode. 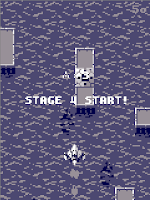 Stages cannot be played separately, but any level in any mode may be played without playing the lower-sequenced levels. Counter Spark: Weaving the Blue Orient is an alright horizontal shooter which features two stages worth action, and though sprites are rather lackluster the game does include an adjustable difficulty level to challenge both beginners and veterans alike. Hold the Z key to shoot and press the X key to use your special attack. Use the C key to switch spells. Continues are allowed, so you can jump right back in even after losing miserably. Skywaymen is a short demo for the upcoming horizontal shooter by Ishisoft, though getting it to work may require a certain SDL.dll file which can be found either in the Clockwiser or Pushover installers freely available from Ishi's web site. Your 'quest' in Duty and Beyond is simply to deliver a pizza. But who knew that the adventure would take you on an epic journey across several exotic locations in search of the mysterious customer. Simply a winner in the content category, with multiple endings to achieve depending on your final score. Fans of classic LucasArts games (especially Maniac Mansion) will love this one to bits. Warning: contains a short discussion about a mature subject. Reactor 09 is simply a fine piece of work by Bernie. Featuring multiple endings and gorgeous art with hues resembling those found in Beneath a Steel Sky, this game demonstrates what the AGS engine is capable of in the hands of a professional. A bit less controversial is Cedric and the Revolution, in which you play the role of the titular character on a quest to gather enough people for a demonstration. Both are definitely adventure games worth having in your collection. 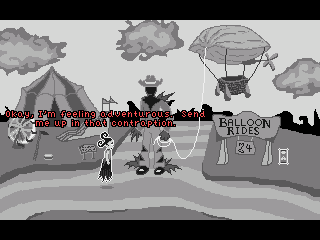 Spooks is an excellent AGS adventure game by Erin Robinson, where most of the sprites and backgrounds were drawn using MSPaint and nine shades of gray. The story begins as Mortia finds herself in possession of a goldfish on a day out at the carnival. The prize she won from a game of darts is the catalyst of her adventure to seek the meaning of life. The writing stands out and most of the music employed doesn't disappoint, although puzzles can be slightly perplexing at times. A small drawback to an otherwise amazing achievement, considering that it's a first effort and a sign of things to come. 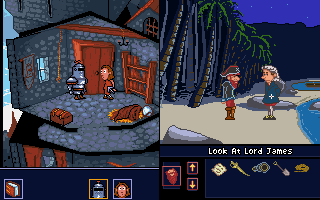 The Family Treasure is another lovingly crafted AGS adventure game by buloght that uses a point-and-click interface made popular by classic Lucasart titles. A story about pirates and hidden treasures may not be original but the gameplay more than makes up for it. 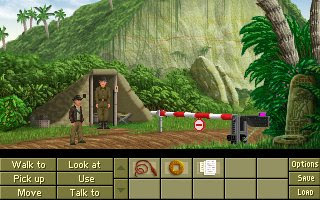 Indiana Jones and the Fountain of Youth is a new game by Screen 7 featuring the immortal screen legend on another globe-trotting adventure. Out of all efforts by many other fans, this one resembles it's source material the most. Like the original, multiple paths can be used to reach the objective. 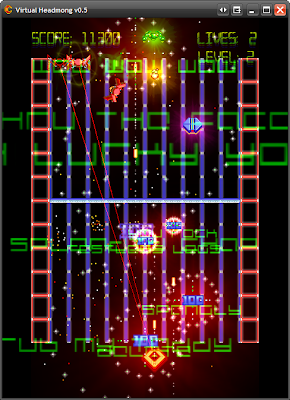 Arcade sequences are optional, depending on your actions in the game. No voice acting yet, plus the length is rather short but this release is well worth downloading even if it's not the full version. Originally an OROW competition entry that won the prize for best writing, Heartland Deluxe now includes cutscenes and a panoramic view but it's relatively short length may disappoint many adventure game veterans, plus an abrupt end to proceedings does little to improve the situation. A commendable effort nonetheless. Warning: Contain scenes of violence, strong language, blood and gore. In Missing, you play the role of an ex-cop in search of his missing wife and child with only a handful of clues as leads. Most players will struggle with the controls at first but persistence is rewarded with one of the best stories this year. It's important to note that save games are only allowed in your room and nowhere else. Tension builds up rather quickly after the protagonist settles into bed for the first night. There's a mystery to solve and a few twists in the story that will keep you playing right till the end. Full marks for one of the best games of it's kind. Note: Try setting your monitor refresh rate to 60 Hertz if the game doesn't display correctly the first time. The White Chamber: International Edition is a new version of Studio Trophis' debut effort. There are plenty of easter eggs to be found, and some are hinted at the end of each adventure. Fans of the original certainly won't be disappointed with the extras. Worthy of another mention in the 2006 list, owing much to the inclusion of four new endings and voice acting. The old GR3 Project's web site was closed recently. A 50MB zip file (design documents for La-Mulana) and the remixed soundtrack (high quality, 54 songs) were posted on the front page for download. 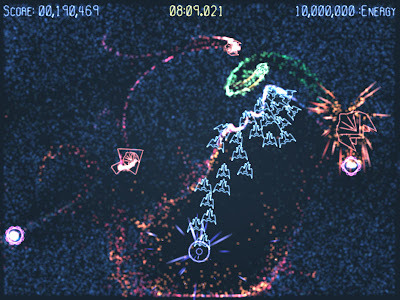 Ablation is basically a four color vertical shooter with an interesting concept. Touching a white bomb neutralizes all projectiles, while activating a black one destroys every object in range. Collect power-ups for a firepower upgrade. Hold the control, Z or space key to shoot, and use the function keys numbered 5 and 6 to switch window sizes. Press the P key to pause the game. Shades of Clean Asia, but very different at the same time and well worth downloading. Aetherzap is a rather loose remake of an old Midway arcade classic entitled SpaceZap, featuring an updated control scheme and a mind-numbing soundtrack to assault your auditory senses. Use the arrow or W, A, S, D keys to launch an attack in any of the four available directions. 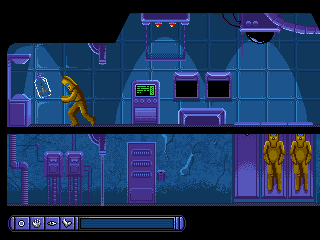 Enemy patterns begin to vary as the game progresses, while your base is rebuilt automatically after some time. 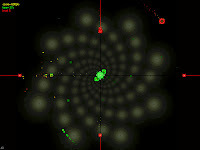 Collect green pulsating dots for bonus points.